When we think of Hotel 81, the image of a sleazy ‘love hotel’ comes to mind. This could be because Hotel 81 is dominant in Geylang – Singapore’s red light district – with 8 out of its 25 hotels dotting the area. Its seedy location would turn off most investors, but Hotel 81 founder Choo Chong Ngen only saw the positive in the negative. We only sell rooms; we don’t sell anything else. “Red light district? The whole world has a red light district. You go any country, also have one,” the self-made billionaire told Forbes in broken English. The fact that he’s willing to brave risks and dabble in territories that others would never dare to venture into made him one of Singapore’s top 20 richest individuals last year. Today, Forbes estimates his fortune at US$2.2 billion. His poor command of English is understandable, considering that he dropped out of school at age 14. Chong Ngen had no choice but to give up school, and work at such a young age to help support his family. He had a taste of the working life since age 10 and dabbled in all sorts of jobs, from selling ice cream in his neighbourhood to being a fishmonger. When he was 15, he worked with a neighbour for his textile business, and got paid only $30 a month. The wage clearly didn’t suffice, so he turned the $50 his mother gave him into a business capital – and borrowed another $6 – to buy cloth and start his own business at the market. At 21, he got a 10-year bank loan and pumped in his own savings to buy a shophouse unit. He rented it out and collected $1,000 to $2,000 every month, reinvesting these earnings by buying more units. By the time he was in his 30s, he had bought over 30 shop units, all generating rent. His stay in a cheap business hotel in Tokyo back in 1991 inspired him to start up his own hotel. “The room was very small, and it was a very fair price. I thought this one bring to Singapore, can make money,” he said in an interview with Forbes. Three months after his return, he made his first foray into development and bought a land in Geylang for S$1.5 million. He built 20 apartment units on it, and gradually built over 100 apartment units spread across four land plots in Geylang. I started buying land 30 years ago, and I kept buying until now. If I didn’t buy then, I wouldn’t be able to buy now because the price is very high. 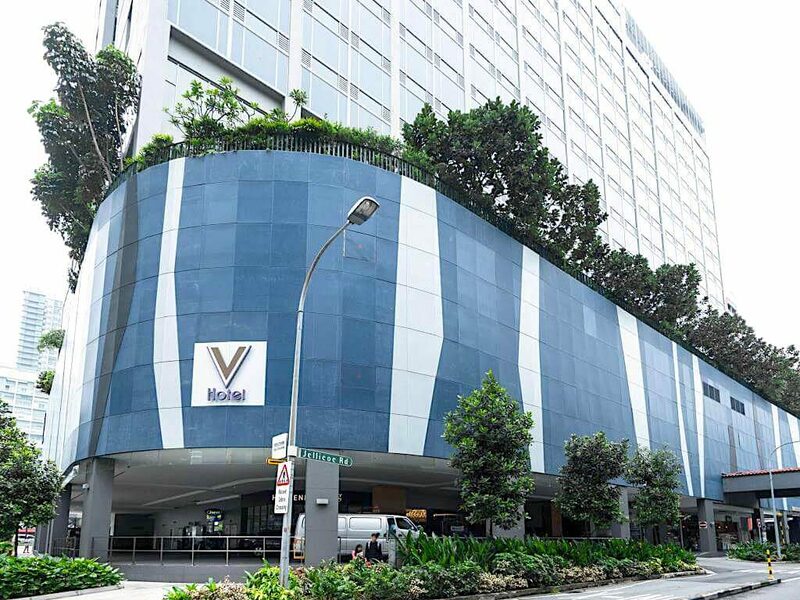 In 1995, Chong Ngen had sold over 100 apartment units and came to a realisation that his units were housed in a good location – there were plenty of food options and the area enjoyed high human traffic. He noted a business opportunity and that’s when he decided to open his first Hotel 81 (the number ’81’ refers to the unit number of his home at the time). Despite zero experience in the hotel industry, Chong Ngen made it a point to familiarise himself by learning from other hotels, be it in Singapore or overseas. “I learn and look at other hotels. I walk into every corner, and see how I can change and improve on the design,” he told The Business Times. He would conduct daily spot checks and think of ways to improve the design of the laundry baskets and baggage trolleys to increase its efficiency. In the past, he would also help out with housekeeping when they lack manpower. “I’m 100% hands-on, not 99%,” he told Forbes. 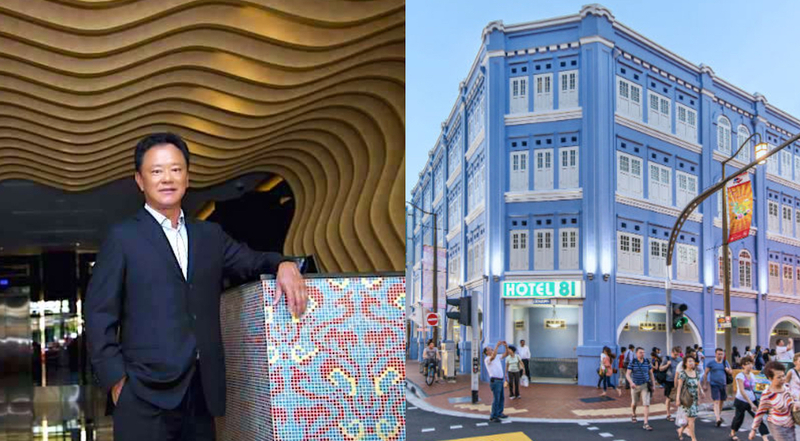 Within five years, he had ten hotels under his name, mostly in Geylang and the adjacent Joo Chiat neighbourhood. Over the years, Chong Ngen said that the company had faced all sorts of crises, but they had stood strong and did not sell any hotel. The 2003 SARS outbreak in particular, was a huge blow as it forced him to slash rates, causing his business to “[drop] by 80%“. Then during the 2008 financial crisis, he had made the sole bid of $51 million for a site at Kallang Road. But because of the crisis, banks levied a high commitment fee for financing, forcing him to pay for the transaction in cash. “I used some of my cash, I used some of my properties and all the OD (overdraft) money, all take out,” he said in an interview with Forbes. Two years later, that plot of land developed into his first V Hotel. Looking back, Chong Ngen felt that the crisis turned out to be a blessing in disguise as it resulted in lower land prices. When the market is bad, land becomes cheaper. But hotels still make money, so I keep investing. He credits his cheap rates – rooms go for as low as $15 for a two-hour stay, and extends to $47 a night – as a critical factor that has helped keep business brisk. He added that despite the increasing choices for consumers and the stiff hotel competition in Singapore, his low rates kept guests returning to his hotel. 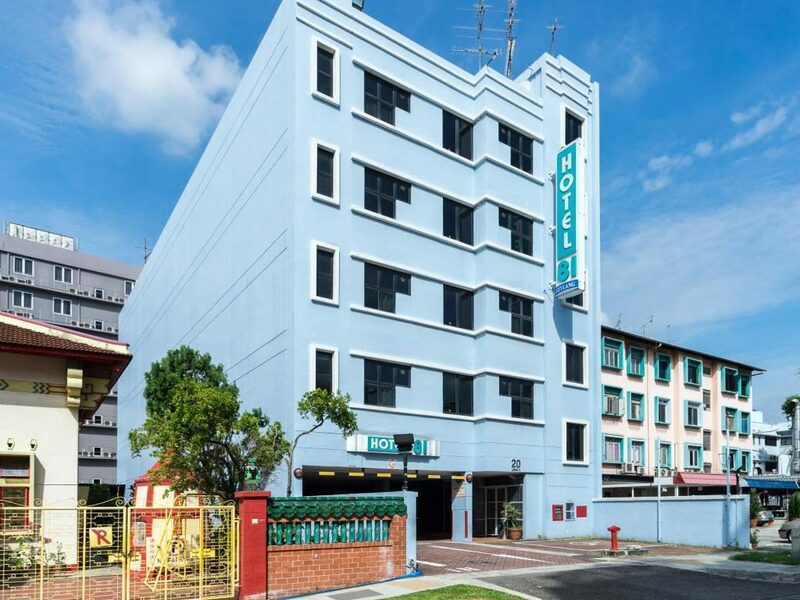 Although Hotel 81 has established itself as a budget brand, it doesn’t actually have the best image due to its Geylang heritage. As such, Chong Ngen wants to move beyond Geylang and clean up its reputation as a respectable budget brand. He told Forbes that people tend to automatically think of Geylang when they hear the name ‘Hotel 81’. But if they take on a different name, they would be able to “catch different types of fish”. Leveraging on this opportunity, Chong Ngen decided to venture into opening more hotel brands. Besides Hotel 81, he now owns Value Hotel, V and Venue brands, Hotel Boss, as well as four-star Hotel Mi. But “Singapore is very small,” he laments to Forbes. In a bid to capture more ‘fishes’, Chong Ngen made his first foray abroad in Thailand, where he signed a management contract with the Travelodge group in Pattaya and Bangkok last year. Commenting further on his business expansion and growth over the years, Chong Ngen simply revealed that business has been profitable as it raked in annual revenues of around $145 million. Today, the 63-year-old’s entire portfolio and investment properties is worth $3 billion. This includes six hotel brands, 38 hotels, and 6,500 rooms. 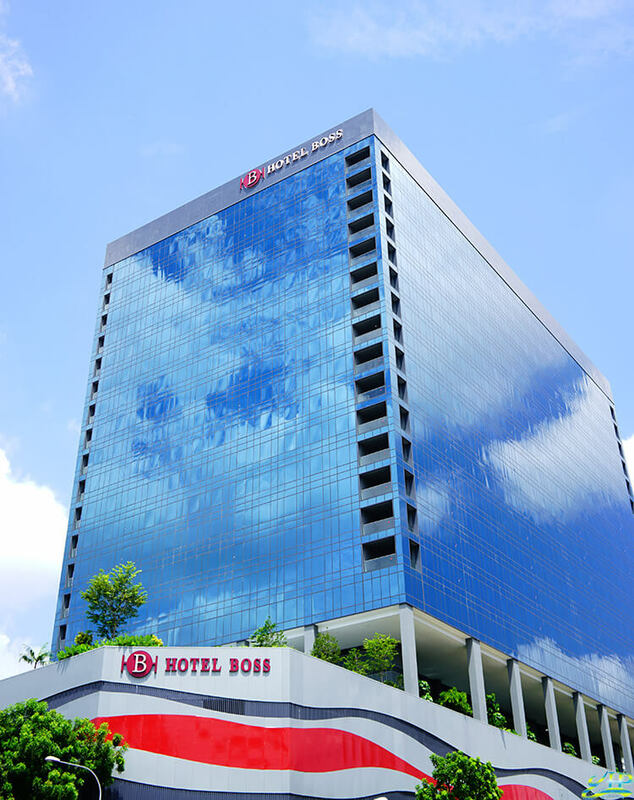 Chong Ngen has restructured to put his various units under a newly-established holding company – Worldwide Hotels – which is helmed by his daughter, Carolyn Choo. Carolyn is the group’s managing director, and she said that in line with the company’s focus on the economy and mid-tier sector, they’ve acquired four hotels overseas. The target is to acquire 20 hotels over the next five years, but they would need a capital investment of over S$500 million, she added. Accomplishing this goal is not easy, since the group is faced with all sorts of challenges such as staffing, pricing, and competition from new entrants. “The only way to survive is to pay attention. Think of better ways to run the business, and become more cost efficient,” she told The Business Times. Carolyn is now focused on helping the expand the business globally. In February, an acquisition was completed in Malaysia, and another acquisition was pending in Australia. Chong Ngen also revealed that he has the funds to make acquisitions of up to $300 million and is seeking expansion opportunities in Japan, Malaysia, Australia, and the United Kingdom. Alternatively, he intends to bring Hotel Boss overseas once he has found suitable locations for it. Chong Ngen might be uneducated, but he has overcome the odds and proved himself as an accomplished businessman. Despite his success, the man still believes education is very important. Because he didn’t get the opportunity to study when he was young, he has donated generously to local universities. Over the past six to seven years, he has given roughly $8 million to four Singapore universities to fund bursaries. 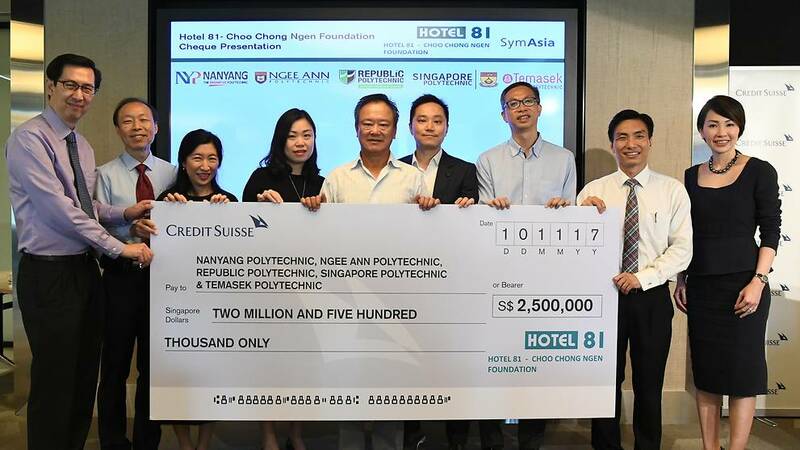 And late last year, the Hotel 81-Choo Chong Ngen Foundation was set up under Credit Suisse’s SymAsia Foundation. Through the foundation, Chong Ngen pledged $2.5 million to five polytechnics to establish an endowment bursary. Each polytechnic is to receive $500,000 and the government will match the donation by 1.5 times, bringing the total donation to each institution to $1.25 million. I like to tell people to study. If you don’t study, it’s hard. You must study to be successful. In this day, there are no such cheap buys and opportunities as I had.